Personal professional collision repair service for over 35 years. At Vermette Auto Body “Customer Satisfaction Is Our Highest Priority”. For over 35 years, Don Vermette has held a steadfast commitment to providing his customers and friends unparalleled auto body repair quality and customer service – all the while doing it in a speedy manner. 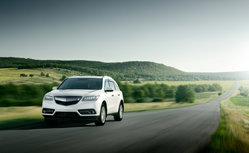 We are so confident in what we do that we make the whole repair process transparent – simply click “Check Vehicle” here and see what we mean. 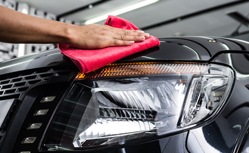 All our staff strives to ensure that our customers have a positive experience during the auto body repair process in the hopes that they will exuberantly refer their family and friends. We have been doing two things for over 35 years – fixing cars and making friends in the process. Vermette Auto Body is equipped with the proper tools to fix any vehicle – from a minor bumper repair to repairing extensive collision damage, computerized damage assessments, frame straightening and laser-beam measuring equipment, resistance welders just like the robots at the factory have, and a heated spray booth for that factory finish - make up some of our tools of the trade. We are your one stop body shop for all your automotive repair needs. 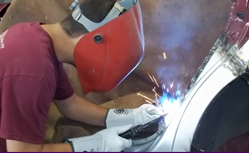 Vermette Auto Body Provides Services for Agawam, Feeding Hills, Southwick, Granville, Westfield, West Springfield, Springfield, Chicopee, Holyoke, Wilbraham, Longmeadow, East Longmeadow, Ludlow, Western Mass, Greater Springfield area, Hampden County, Connecticut, Suffield, Enfield, and Granby. Just had an accident and still shaking up from what happened and not ready to deal with all the paperwork and inconvenience of insurance claims? Leave it all to our worry-free claim assistance! Your vehicle got damaged and wondering if it can look right again? Bring it to us we can make it look as good or even better! 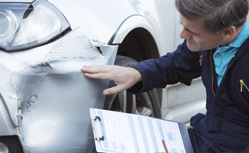 We are equipped to repair any collision related mechanical damages. A clean car says a lot about you. At Vermette Auto we provide complete interior and exterior detailing packages. You worry about the driving, leave the "deatailing" to us. We are about our environment and community. We are the first green certified facility in the area to use water based paint while continuing to produce the superior paint finishes. Replace or can it be repaired? With many damaged bumpers, a repair may be the best choice. Safest repair for our customers! We have just upgrade our welding equipment that enables us to provide factory recommended welds to ensure a safe, like new repair. Want to keep up to date with all our latest news and information? And get our special deal directly delivered to you email box? At Vermette Auto Body We are committed to bring the BEST service to our customers. We take pride in our work and expect to achieve 100% satisfaction of everyone we serve. We are here to answer all your question and concerns. Click here to find answers to the most asked question by our customers. Will my car be fixed correctly? Can Vermette Auto Body really make the progress hassle free?